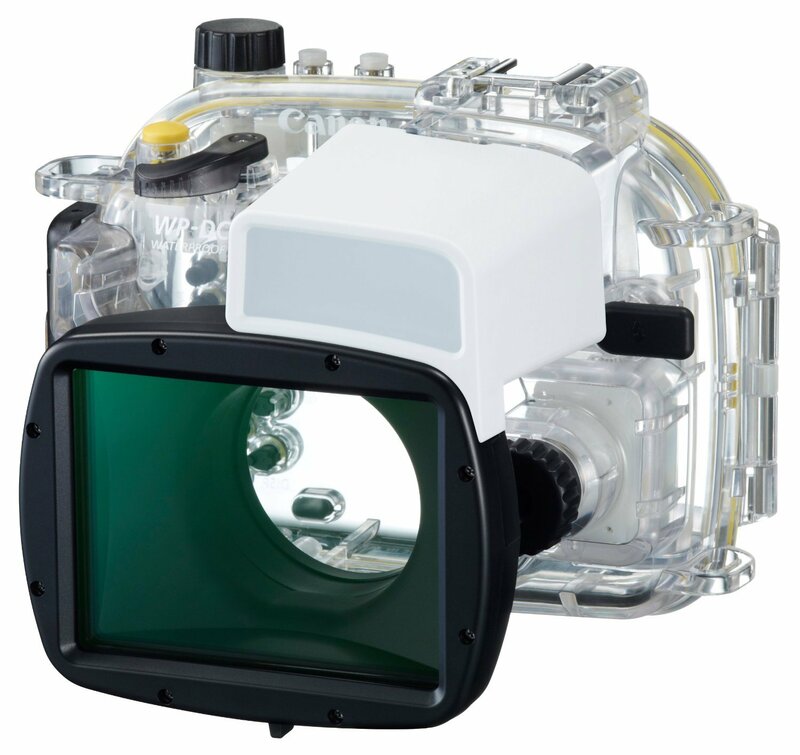 <New!> Canon WP-DC53 Waterproof Case for PowerShot G1 X Mark II Digital Camera DescriptionDetailUnderwater 40m waterproof of PowerShot G1 X MarkII for the waterproof case. When mounted also is excellent in operability, and supports underwater photography.Condition：Brand NewManufacturer：CanonSize: 22.5 x 17 x 15.6 cm(8.8×6.6×6.1”)PaymentPaymentWe accept Paypal onlyShippingFree Shipping Worldwide! !Shipping Duration ShippingMethodAsiaNorth AmericaCentral AmericaMiddle EastAU, NZEuropeRussiaSouth AmericaAfricaRegistered Small Parcel6 - 12 days7 - 14 days7 - 14 daysDoes not deliverSHIPPING※It does not delivery to the following Locations※South America, Africa, Arctic, AntarcticTerms of SaleMoney back guarantee within 30 days if returned by customer.PackingWe promise packing professional.We pack all products to a professional.We pack it severely very carefully.Most Products are rolled by Air Packing, or are severely rolled in Papers.The product is fixed with packing materials or paper well.We promise that you deliver to the customerin perfect condition the product!ReturnIf by any chance the Product is damaged,or different has arrived, we will respond as soon as possible.We are limited to the unused Productwithin 30 days from the Arrival in the only Caseof the Above Correspondence.Please contact us first.It then the following measures uponRequest of Customers.Refun or Mailing Products insteadAbout UsDear CustomerWe would like to introduce to People around the Worldthe great Products ＆Culture of Japan through eCRATER.We have Policy some for Sale.We guarantee all Maker Regular Article, Authentic Product about the Product which we sell.We believe that to deliver to Customer to have the responsibility and also the most important,with the Best Products.Please Purchase the Product in Peace.Thank you for Reading(*^_^*)HimeHime8International Buyers - Please Note:Import Duties, Taxes and Charges are not includedin the Item price or Shipping Charges. These Charges are the Buyer's responsibility. SANRIO My Melody 2WAY Tote Bag ROSE Pink Free Shipping From Japan Brand New ! !